Take a scroll through Instagram and Facebook and you would be forgiven for thinking running a business is all poolside working and sipping coffee in some urban oasis. 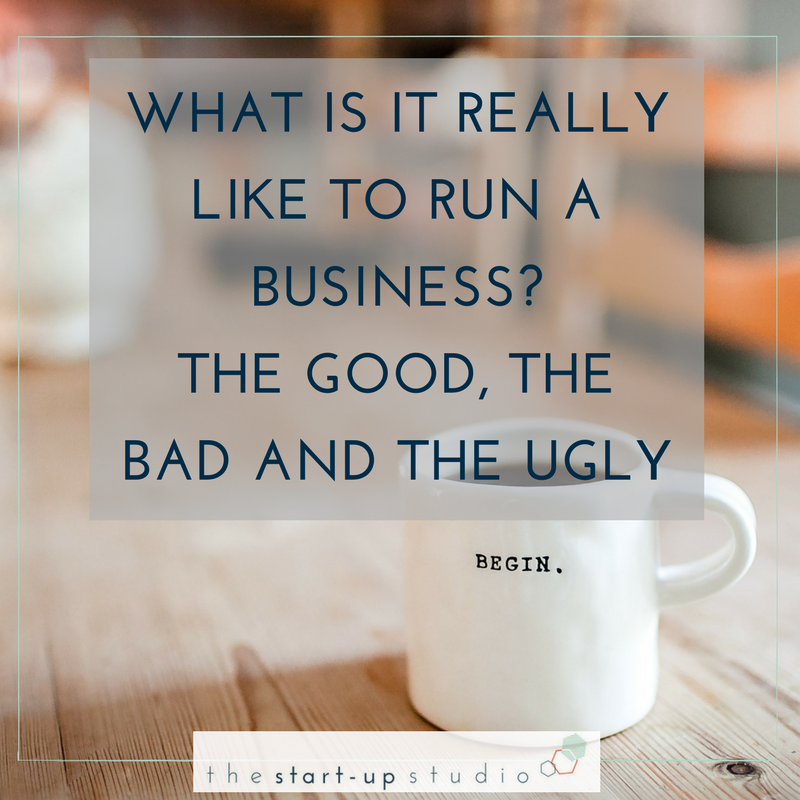 It can be hard to get a realistic view of what it means to run a business. There are some incredible moments, I love being able to watch my nieces in a gymnastics display part way through the morning. I also love being able to steer my business as I see fit without layers of bureaucracy to go through. But there are also tough moments, the loneliness and responsibility can loom large some days. Every entrepreneur will have a different experience of running a business but there are some common advantages and disadvantages. Your own advantages are usually your main motivations for wanting to run your own business, and the disadvantages are often the barriers that prevent you from taking action. You are the boss - Who doesn’t love being number one?!! You will be making all the decisions, choosing who you work with and the direction you take your business, all that power can be incredibly exhilarating and well empowering! It is worth remembering that many of the advantages of running a business only apply once the business has been running for quite a while. For example you absolutely can earn more than when working for someone else, however for the first year of the business most money is invested back into the business to help it grow. You need broad shoulders – You are fully responsible for everything in your business. This can be an advantage but it also puts a lot of pressure and stress on you as hte business owner. How well equipped are you to deal with that stress? Do you thrive under pressure? More than a full time job – You are likely to work more hours than you would in a full time job, especially in the start up stages. Are you able and prepared to do that? Will it fit with your other responsibilities? You are also likely to be ‘married to the business’, you will think about it when you are not working. How well will you cope without set holidays and time off? Business is a risky business – You will be risking money and time. Are you comfortable with that? Often any profit is reinvested into the business at the start. Can you afford not to be earning a regular wage at the start? You could get into debt, are you able to do that and are you okay with that? How would you feel if the business was not successful? These are the most common advantages and disadvantages I have come across working with entrepreneurs for the last 9 years. Are there any which really strike a chord with you? What is motivating you to start your business? I would love to know get in touch now by emailing me helen@thestartupstudio.co.uk. Enter your email for your free plan, email training series and other business geekery from The Start-Up Studio by email including masterclasses, inspiration and goodies. Your Business Success Plan is winging its way to you as we speak. Please check your junk mail folder in case its been squirrelled away in there.